County Battery has over 40 years of experience within the battery industry, providing our customers with an extended range of batteries from top quality brands including Fuller Batteries. Take advantage of our specialist industry knowledge from our professional and enthusiastic battery experts. We value quality products, and ensure you buy a quality battery that is also value for money. County Battery Services stocks a wide range of premium Fuller Batteries for all types of classic vehicles, both online and in-store. County Battery provides classic vehicle batteries for many makes and models of classic cars and motorcycles. 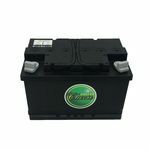 We have a quality selection of Fuller batteries ideal for the classic car or motorcycle. Fuller has been serving the British public with quality batteries for almost 200 years, and are a trusted brand for all types of batteries. 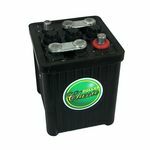 County Battery supply a wide range of quality Fuller batteries for many applications, powering automobiles from motorcycles to cars. Fuller motor brand batteries provide guarantees from between 2-4 years. Next day delivery, Saturday delivery and free delivery options are available within the UK for Fuller batteries. Fuller batteries are also designed for the best-equipped motorhomes, vans, caravans and boats. We make sure that we sell you the right type of classic motorcycle or classic car battery for your requirements. 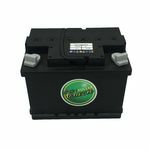 Our Find by Fitment page helps and guides you to the battery suitable for your vehicle, car, motorcycle or caravan. Just enter details of your current battery and find the exact battery or a suitable replacement. We do not promote the 'Buy Cheap, Buy Again' motto. We promote 'Buy Quality, Buy Longevity'. We believe in fitting the best quality batteries providing your vehicle or appliance with the power to run efficiently, last longer and be more reliable. We offer our clients exceptional value for money through a combination of our competitive pricing, expert knowledge and reliable service. County Battery provides quality products and excellent service. You can also visit one of our retail shops based in different regions of Nottinghamshire; Kirkby-in-Ashfield, Nuthall or Ilkeston. Here, we can also fit and test batteries for you. To find out more information about this, visit us in our stores. Our store locator information can help you find the closest store to you. At County Battery, we pride ourselves on expertise and customer service that larger suppliers cannot match. So, if you are still struggling to find your classic vehicle battery, call our Battery Experts today and we can answer your queries and assist with your purchase. For more information on Classic Vehicle Batteries head over to our Blog page for advice and tips, and on all types of batteries from the Battery Experts.